Pojo's Pokemon news, tips, strategies and more! We have two new books for sale at Amazon.com. One is a great hardcover. Click on the links above to check them out. This set was not issued with "1st Edition" cards. Only "Unlimited" print run cards were issued. This set was released originally in August 2004. Reverse Holofoils are worth approximately 3 times the stated values. We are not listing uncommons or commons individually. They just aren't worth much to be honest. We are NOT selling cards. These are compiled for clarification of relative values and what you might expect to pay at a game store or collectible dealer for these cards. 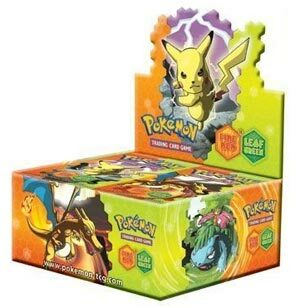 Each Booster pack contains: 1 foil card, 1 rare card, 5 common cards and 2 uncommon cards.